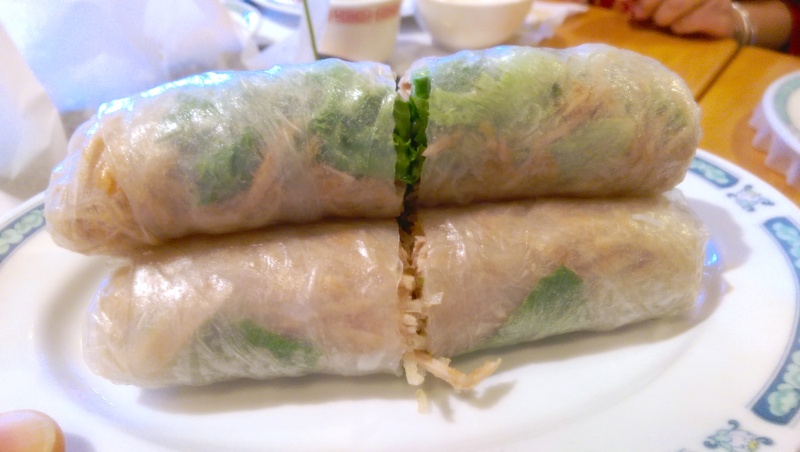 Another rice paper roll we ordered was bì cuốn, which is a rice paper roll with shredded pork. I usually eat it with nước mắm (fish sauce), contrary to the peanut-hoisin sauce with gỏi cuốn. Shredded pork is actually not quite healthy (high cholesterol), as it is a mixture of shredded pork, pork skin, and pork powder. But it’s tasty!! I found a YouTube video shows you how to make the shredded pork. Like gỏi cuốn, bì cuốn is fairly simple to make if you have the shredded pork.